There are some very exciting things happening at The Hyatt Regency Newport Hotel & Spa as the team there prepares to reveal new hotel guestrooms and lobby. The Hyatt Regency Newport is proud to announce the near completion of a $9 million renovation (estimated completion is May 1, 2015). The transformation includes a makeover of the property&apos;s 257 guestrooms and suites to complement the updated lobby and public areas. The restyled rooms, envisioned by Moncur Design Associates Inc, now encompass a nautical feel and exceptional function to enhance the guest experience. The top-to-bottom improvements included the redesign of the bedrooms with a contemporary, coastal chic aesthetic accented in colors of blues and greys. The rooms feature new lighting fixtures and furnishings including couches, chairs, carpeting and wall treatments. The renovation also includes a transformation of the lobby and Five33 Lounge. From the moment of check in, guests will be welcomed by an inviting atmosphere and beautiful water views. The lobby will include welcoming updates such as new furniture, carpeting and decor. 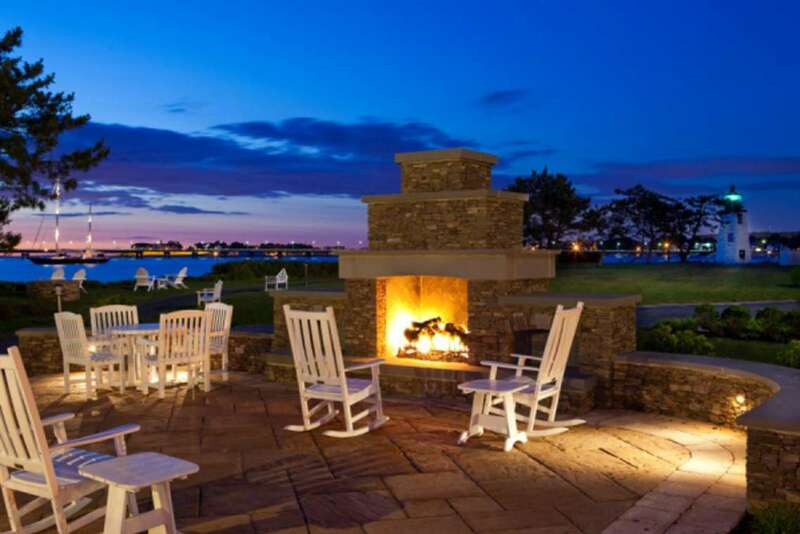 These new enhancements will allow guests to enjoy their own vibrant island retreat as they relax and enjoy the breathtaking water views of the Newport Bridge and Narragansett Bay.